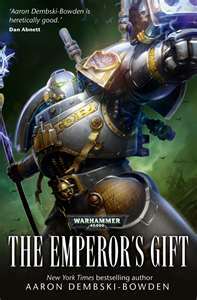 The Grey Knights space marines are a secretive bunch of super human soldiers, possessing powers of the mind that are banned in others. They are called in to fight demons and other such Chaos critters when normal soldiers or other space marines would be over-matched. 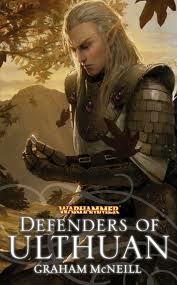 The story follows Hyperion, one such Grey Knight, in service to the Inquisition. They stumble across a space hulk, and while aboard discover a message sent by the original owners, of impending doom on the planet of Armageddon. 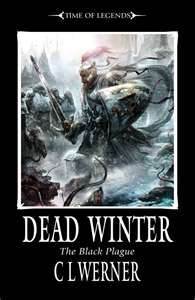 The first half of the novel follows Hyperion and his chums as they deal with assorted Chaos scum, then suddenly shifts focus to a brewing civil war between the Inquisition forces and the Space Wolves, who are trying to protect a bunch of civilians who might have seen the Grey Knights, an event punishable by death, apparently. This apparent shift in the focus of the novel, from a few marines to a galaxy wide conflict, is where things really start to go wrong. The first half is ok, nothing exceptional, but readable. The second half is filled with logical inconsistencies, contrived face-offs and the general forcing and shoving of events that don’t really fit. Mr Dembski-Bowden has produced some excellent novels over the last few years, this one is something of a let-down. I got the feeling that the plot was devised by a committee, then given over to the author to write. Overall, it doesn’t work as a Grey Knights story, or as a picture of wider events. Don’t bother, would be my humble advice. P.S. Papyrus is made from sedge, not trees.